Home » Professionals » Kim M. Ciesinski, Esq. 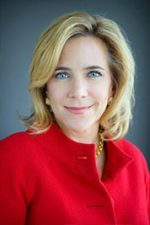 Kim M. Ciesinski, is a founding partner of the law firm of Schwartz & Ciesinski, LLP, where she represents clients in all aspects of divorce and family law. Ms. Ciesinski has received an AV rating from Martindale-Hubbell Peer Review Ratings. She was named to the Pulse Magazine directory of “Top Legal Eagles” on Long Island 2010 and 2011. Ms. Ciesinski received her Bachelor of Arts degree in Sociology from Hofstra University in 1986 and her Juris Doctor from Hofstra University School of Law in 1989. She was admitted to practice in the State of New York, Second Judicial Department in 1990. In 2011, she received a certification in mediation from the Ackerman Institute for the Family. Additionally, she has recently received her certification in Collaborative Interdisciplinary Practice from the New York Association of Collaborative Professionals. Ms. Ciesinski has been appointed as a member of the Matrimonial Special Master’s Panel in Nassau County. Ms. Ciesinski is a member of the Matrimonial Committee of the Nassau County Bar Association; the Family Law Section of the New York State Bar Association; the Suffolk County Bar Association; The New York State Women’s Bar Association–Nassau County Chapter; the New York State Association of Collaborative Professionals; the International Academy of Collaborative Professionals; the NationalAssociation of Professional Women; and, the Women in Leadership initiative at Hofstra University. Our professionals serve clients from Manhattan to Montauk with offices in Garden City, Great Neck, Carle Place, Westbury, Muttontown, Plainview, Huntington and Dix Hills. Go to our Professionals page for profiles and contact information as well as an interactive map showing locations. Each professional can also be contacted through a webmail form on their individual profile page. Content Copyright © 2019 Collaborative Divorce Resolutions Long Island (CDRLI) NY - All rights reserved.